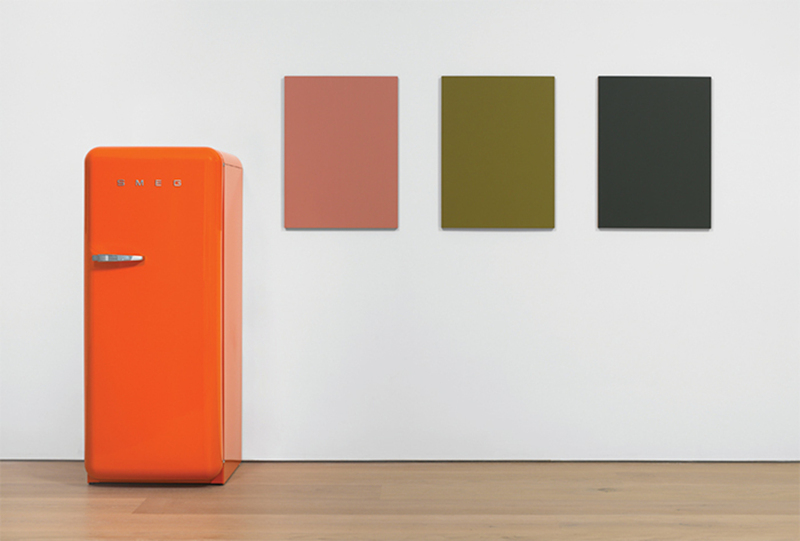 Sherrie Levine, Orange SMEG Refrigerator and Renoir Nudes, 2016, three oil-on-mahogany paintings and one SMEG FAB28UBLR1 ’50s retro-style refrigerator, 70 × 111 × 27 1/2". It’s difficult sometimes to know how to engage with new work by an artist like Sherrie Levine, whose very name has come to stand as a kind of marker in the history of art. When one thinks of Levine, one thinks of “appropriation”I have an image in my mind of a portrait of the tight-lipped woman that Walker Evans shot for the Farm Security Administration or Duchamp’s Fountain done over in bronze. 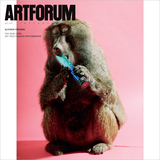 I think of doubling, copying, postmodernism, the death of the author, the birth of the text. I think, in other words, and while I think I often pass over the material reality of her work, and how it might mean.